The winner is Prof. Andrew Whelton. The inscription on the plaque reads “Prof. Whelton merits recognition for his outstanding mentorship. His generous support for his students’ research is demonstrated with personal attention and patient guidance. Dr. Whelton challenges his students to refine their critical thinking and adds creative, analytical insight for challenging problems. 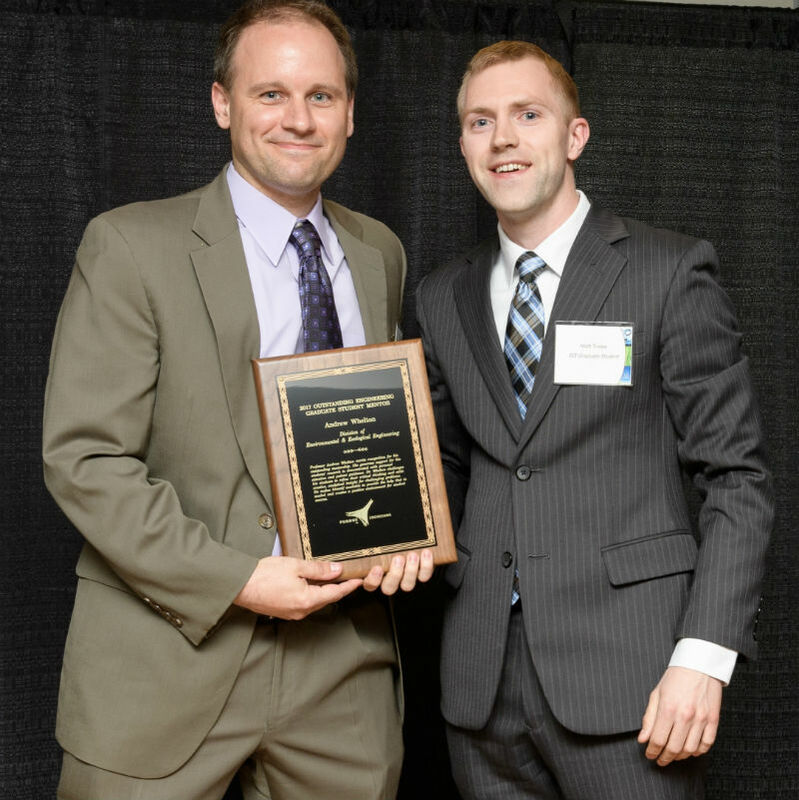 He makes himself available to provide the help that is needed and creates a positive environment for student success.” Dr. Whelton (left) received the plaque from Matthew Triebe, President of the EEE Graduate Student Organization.